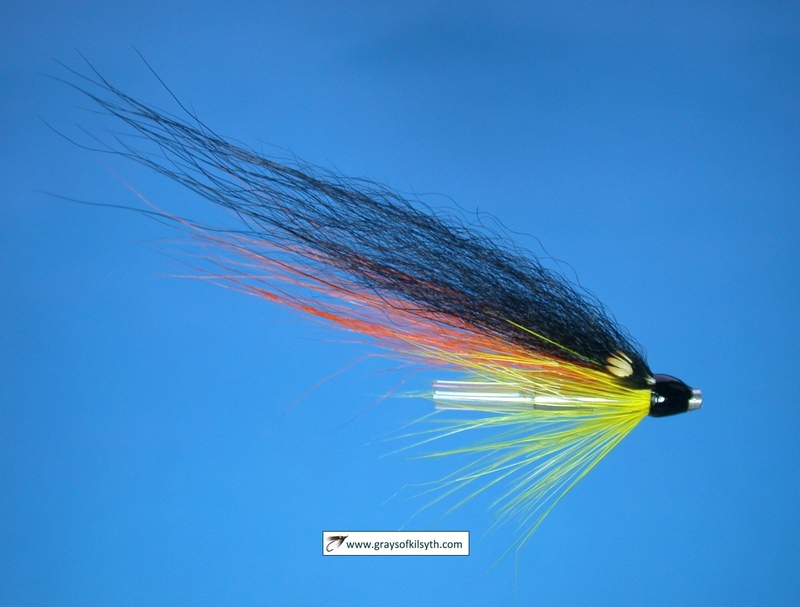 Often the best ideas, in fly fishing as in other fields, are the simplest. For those of us who fish for salmon and sea trout, the tube fly must rank among the very best of fly fishing innovations. The basic idea - some hair whipped on to a plastic or metal tube with a treble hook trailing behind - is so simple and effective that it may seem hard to improve upon, yet generations of salmon and sea trout fishers have, over half a century, added their own small refinements and innovations - making use of various materials, from the lightest of plastic to the heavier aluminium, brass and copper, in an effort to vary the weight of the fly and the depth at which it will fish; inserting nylon liners to prevent the line rubbing on the sharp metal tube ends; adding extensions of silicone rubber to the rear of the tube to provide a secure, yet flexible, hold on the treble hook; and, of course, what fly tyer can resist the temptation to combine a unique blend of fur, floss and feather to create his own "special" fly. 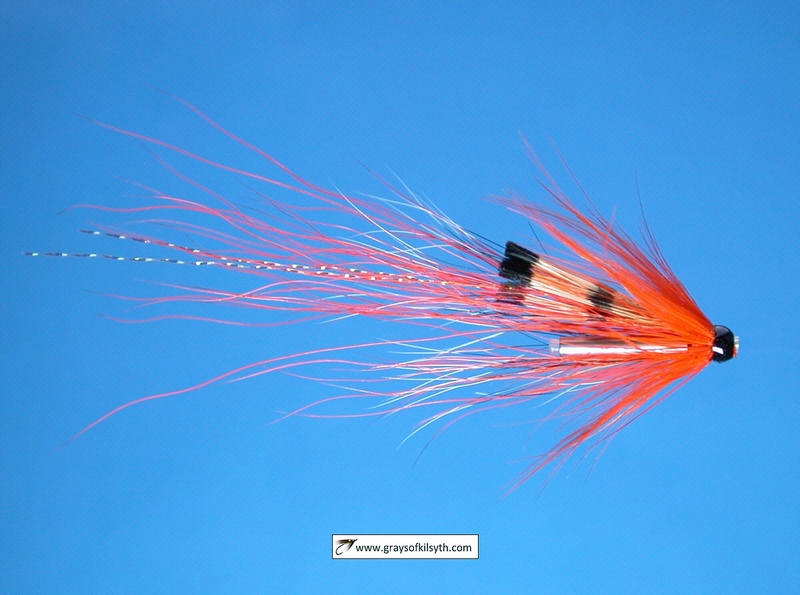 The tube fly has found its way, over the years, into the fly boxes of many salmon fishers. 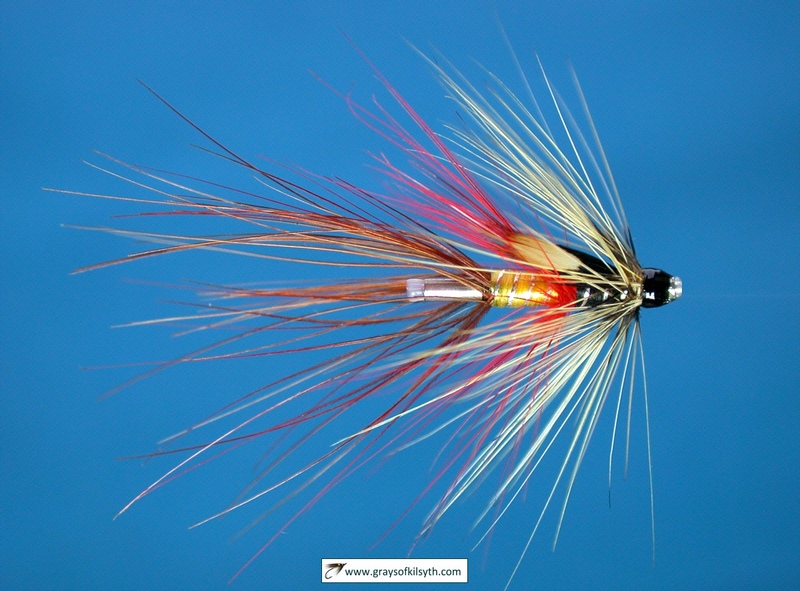 Early in the season, and again at the back end of the year, salmon fishermen will be found casting heavy brass and copper tube flies attached to fast sinking lines, propelled by long, powerful rods in the heavy flows of our famous salmon rivers. Many a summer grilse has been lured by the smallest of plastic tube flies fished on a floating line in shrunken highland streams. But it was in the possibilities presented by the tube fly as a lure, not so much for salmon, but for summer sea trout that our main interest lay. Night fishing for sea trout is rarely successful with the river running much above summer level. In a high, coloured river, the only chance of a fish will be during daylight hours. Consequently, our sea trout night fishing is done with the river running at, or slightly above, summer level. In such flows, heavy flies, such as those tied on brass or copper tubes, are rarely needed. 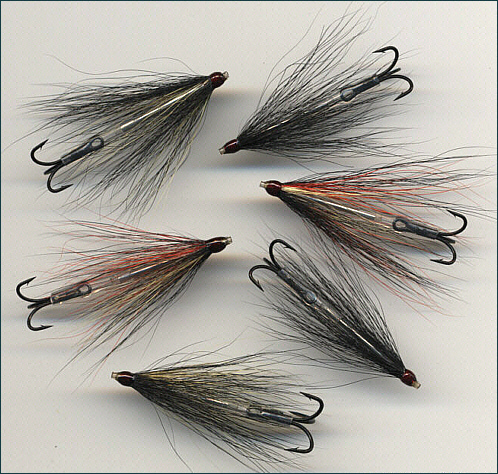 Lighter tube flies, however, such as those tied on plastic and aluminium tubes, often fished on slow sinking lines, have long been favourites among sea trout fishers and they are an indispensable part of the night fisher's armoury. But could there be a place for a medium weight tube, somewhere between the heavyweight brass and copper tubes and the lighter plastic and aluminium? 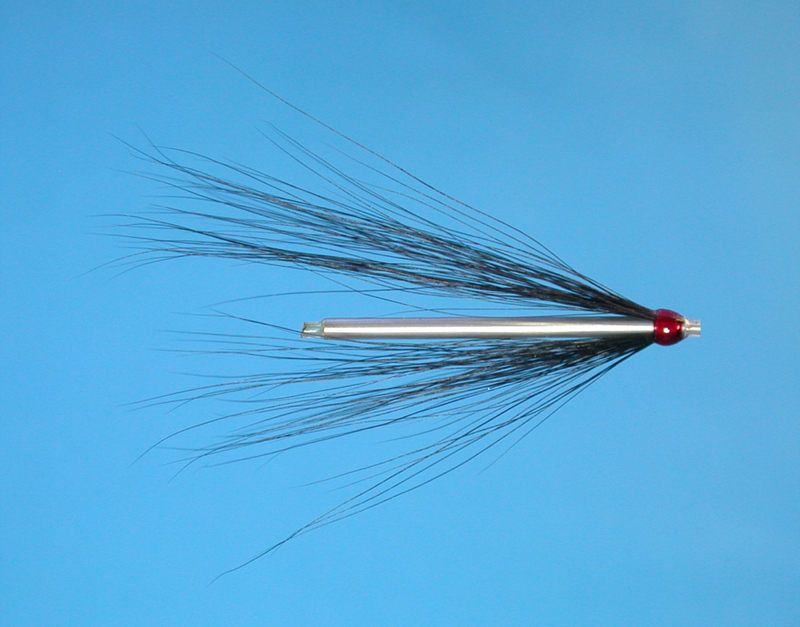 In the quest for that slim, tenuous, impressionistic lure, so favoured by Falkus, would it be possible to find a material which might be adapted to the construction of an extremely slim, medium weight, tube fly, which might be produced in varying lengths, and would be effective in all heights of water, for both day and night sea trout fishing? Our thoughts turned to needles...... of the hypodermic kind, in shiny, pristine, stainless steel, the finest type of metal tubing available commercially. But how successfully might such tubing be adapted for use as a tube fly, and could it be easily procured? After some research and deliberation, we decided on 19 gauge hypodermic tubing, with an outside diameter of 1.1 mm and an inside diameter sufficient to accommodate the heaviest of nylon likely to be used in sea trout, or salmon, fishing. 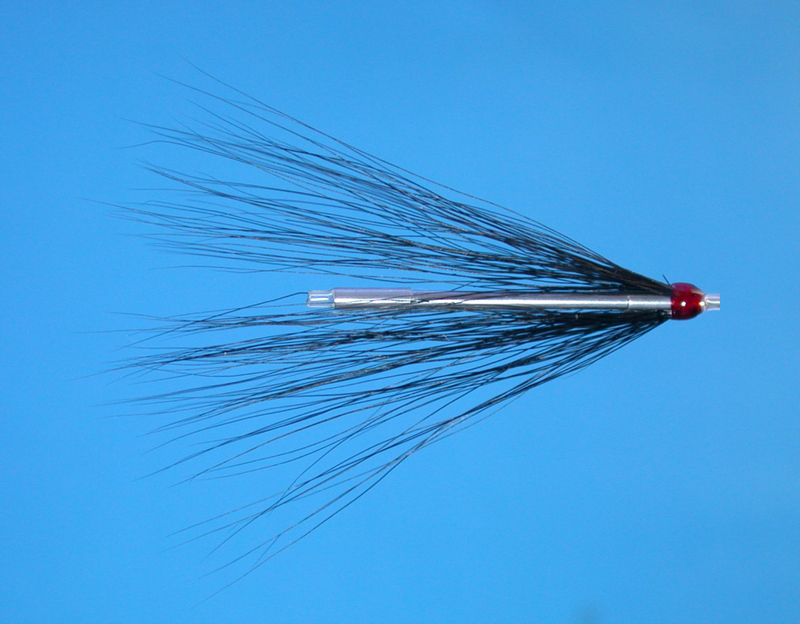 [ note: 20 gauge tubing can be used to produce an even slimmer tube fly with an outside diameter of less than 1 mm.] We found a source in Coopers of Birmingham and purchased a few metres, more than enough for experimental purposes. It was originally hoped that the stainless steel micro tube (hypodermic needle tubing gauge 19) could be used on its own to produce a very slim tube (O.D 1.1 mm). It was found, however, that, no matter how carefully deburred, the sharp edges of the tube ends cut into the nylon leader while fishing. So how might this problem be overcome? It was impractical to line such a narrow tube with the conventional nylon liner, so how might the sharp ends of the stainless steel tube be prevented from coming into contact with the nylon leader? One solution is to cover the whole tube with heat shrink tubing, being careful to leave a short extension of heat shrink at both ends covering the sharp edges, in order to protect the nylon, as in the accompanying photographs. The shrinking process is most simply done as follows. 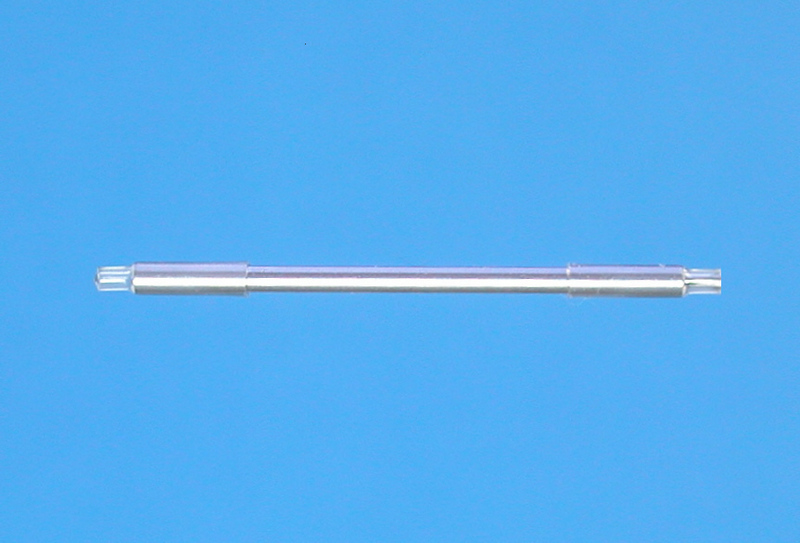 The stainless steel micro tube, covered by a length of heat shrink tubing, should be slid over a darning needle (a size 9 "Long Darner", diameter 0.61mm, is about right). The heat shrink tubing is held over the flame of a lighter for a second or two, until it shrinks on to the metal tube, being careful not to burn or melt the tubing in the process. When the tube has cooled and hardened, it can be slid off the needle. Alternatively, it is possible to form a slightly wider opening to facilitate the threading of the nylon leader (particularly useful if attaching the tube at night by feel), while retaining maximum shrinkage and security at the tube ends. For this, a thicker needle, with a maximum diameter slightly larger than the inside diameter of the stainless steel tube, can be used. 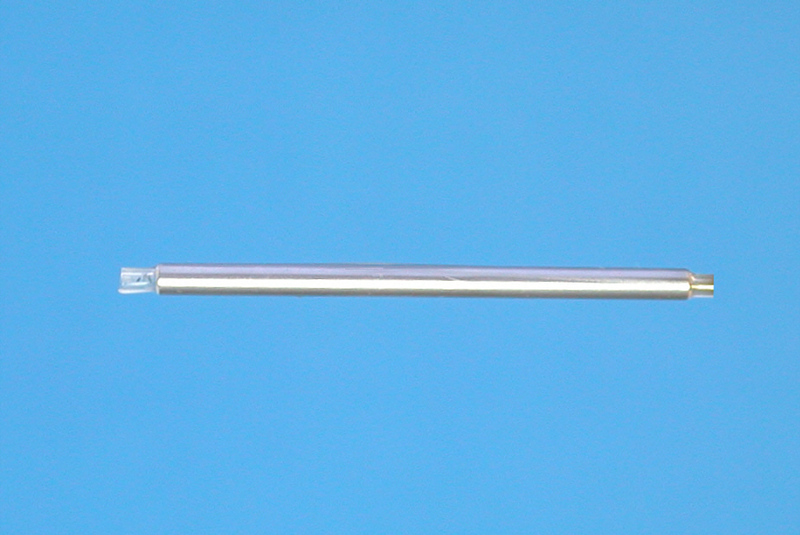 The point of the needle is inserted in the metal tube end and heat shrink tubing slid over both the metal tube and slightly beyond the end of the tapered section of the needle. The lighter flame is then applied as above, shrinking the plastic heat shrink tube over both the tube end and the tapered section of the needle and leaving a wider opening in the plastic tube extension. This is particularly useful at the front end of the tube, making it easier to thread the nylon leader through the tube. We used what we believe to be the finest heat shrink tubing generally available, shrinking from 1.2mm to a diameter of 0.6mm and available from R.S. Components (www.rswww.com) code number 288-5156. As an alternative, it is possible to cover the sharp edges at both ends and still retain the slimness, and flash, of the stainless steel tube. This can be done by shrinking short extensions of heat shrink tubing front and rear, leaving most of the stainless steel micro tube uncovered, as shown below. While it is essential, regardless of which technique is used, to thoroughly deburr the inner cut edges of the stainless tube (i.e. those parts of the tube ends which may come into contact with the nylon line) before adding any plastic tube, there may be some advantage in leaving, or even emphasising, the rough outer edge to help secure the heat shrink extensions. 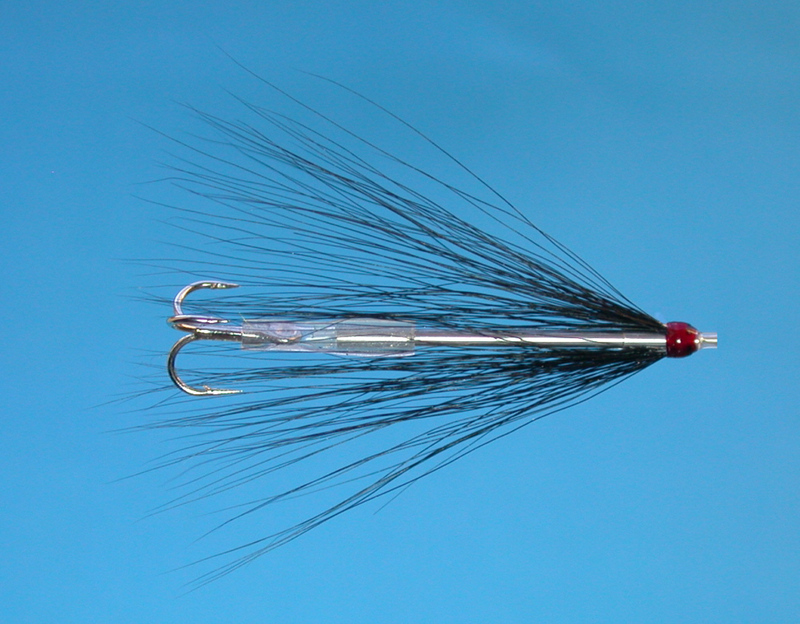 In line with common practice in the use of conventional tube flies, an additional short extension of silicone rubber of a suitable diameter can be slid over the rear end of the finished micro tube fly to provide a secure but flexible hold on the treble hook. Clear silicone tubing, with a bore of 1 mm and a wall thickness of 0.5 mm, as used in the examples shown in the photographs above, is perfect for the job.